You read that right! Church Production goes on to share more about the awarding winning loudspeakers–read the rest of the article here! 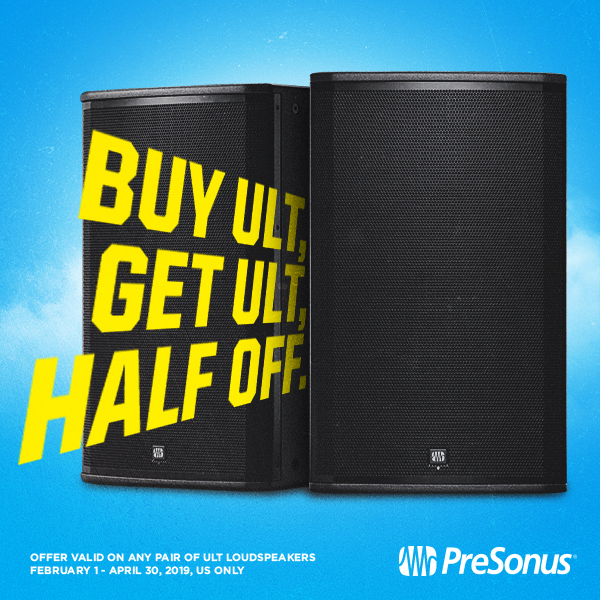 Starting this month buy one ULT Loudspeaker and get another one 50% off! This offer is available in the US only. Offer ends April 30, 2019. Posted in Live Sound Reinforcement, Promo / Discount | Comments Off on Buy One ULT Loudspeaker and get the second for half price!